The way we distribute business logic between a frontend and backend is individual for every web app. This flexible approach demands skillful and thorough architecture planning, which eventually helps us achieve the necessary balance in interactivity and stability. We define our backend development tools in accordance with our customers’ business requirements and develop robust and durable backends, irrespective of the technologies we use. For convenient further administration, we also offer deployment and customization of a suitable content management system. 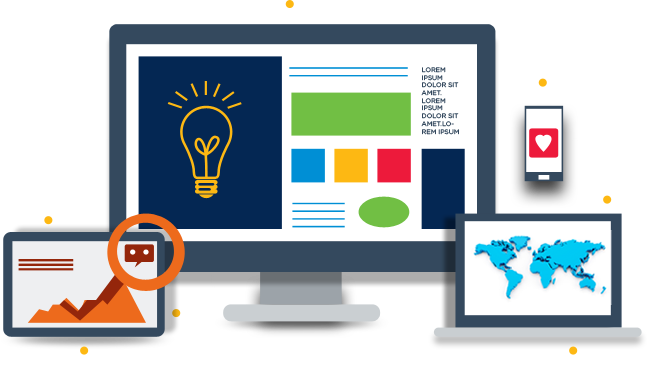 We are convinced that a professionally developed single-page web app can offer impressive and secure web experience. By designing and developing interactive SPAs, we ensure responsiveness and cross-browser compatibility, as well as live up to users’ high expectations in agility and performance. With smartphones and tablets playing a pivotal role in today’s web experience, the mobile-friendly nature of a web app is a necessity, not a whim. We develop mobile-enabled progressive web apps in line with Google’s definition of ‘progressiveness’, making them fast even on 2G networks, offline-available, and easily installable on a user’s home screen. We create order, asset and process management systems, as well as other web-based enterprise apps that become an intrinsic part of your business workflow. Thanks to the intuitive UI and stable operation of our enterprise web apps, your staff will find more comfort in completing their daily activities, while you will enjoy their boosted performance. Pro-X Software Solution develops company and customer focused, partner/vendor, learning, healthcare and other types of web portals that unify all the necessary functionality in a convenient and easy-to-use way. We make sure that all the multiple features work great independently, are smoothly coordinated and do not overwhelm their users as a whole. To improve the online presence of your business, we create e-shops and B2B ecommerce portals, implement cashback services, develop booking and payment systems. Our rich industry knowledge allows us to deliver solutions that solve business challenges in healthcare, retail, and manufacturing. Working closely with the customers, Pro-X’s define their needs and devise effective automation tool concepts. Our designers and developers are the ones who implement these concepts and integrate them with existing systems. Let us know about your web development challenges and our experienced business analysts and web development architects will get in touch with you to discuss the details.